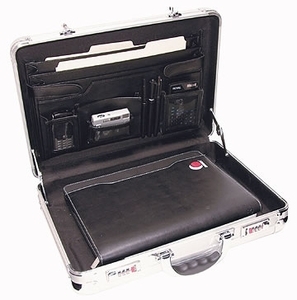 This silver matte silver design attache case spells out nothing but class. Show up to those DJ orientations or client meetings with the case and they will know you mean business. Padded floor, upper storage area and dual locking latches are included.